Currently I am working on two major book projects. The first book, to be published this fall, is a beautifully-illustrated book on the Jewish catacombs of Rome. It will contain a discussion of all the major Jewish archaeological and inscriptional finds from Rome. The Jewish catacombs of Rome represent the largest body of archaeological evidence outside Israel. The book will also contain a discussion of the groundbreaking work I have directed in the area of radiocarbon dating. This book is a must-have for anyone interested in Jewish art, Italian Jewish history, and, more generally, the religious and cultural origins of European civilization. My second book project will result in a major work of reference. It is entitled The Cambridge Encyclopedia of Late Antique Art and Archaeology (Cambridge U.P.). I am editing this massive volume together with Jodi Magness (UNC Chapel Hill), Neil Christie (University of Leicester), and Robin Jensen (Vanderbilt University). More than fifty colleagues from around the globe are currently writing chapters in their respective area of expertise. This encyclopedia will be a unique resource to gain access to the latest research in the area of late antique Mediterranean archaeology (300-700 A.D.). Below you will find a listing of other books I have published in the past. You can order these books by clicking on the orange button at the bottom of each section. This book challenges the view that Jews of ancient Rome lived in splendid isolation. Using archaeological, epigraphic, and literary evidence, this award-winning study documents how the Roman Jewish community participated fully in Roman society, without, however, ever loosing track of its Jewish identity. This book collects a series of essays dealing with the Jewish communities of the Western Diaspora. Subdivided into an “Archaeology, “Epigraphy,” and a “History” section, the case studies presented here seek to revise current perceptions on the Jewish Diaspora during a time frame when most Jews were already living outside the Land of Israel. 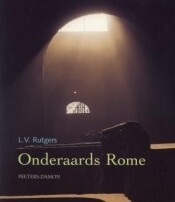 This book is a popular account of how, according to the latest scholarship, the famous early Christian catacombs of Rome came to be, and on how early Christian art originated. 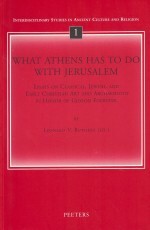 With an appendix on the Jewish catacombs of Rome. Also contains practical information for the traveller. Available in both Dutch and English. A Festschrift for archaeologist Gideon Foerster of the Hebrew University of Jerusalem with a variety of contributions on Classical, Jewish, and Early Christian archaeology by some of the major scholars in the field. A collection of essays dealing with the perception and reality of Jewish and early Christian identity formation in Late Antiquity. Contains several case studies as well as a methodological contribution on current postmodernist approaches to the study of Roman-period Jewish history.